Valentine's Day isn't just a day, it is a state of mind. Therefore, the entire month of February has been decorated in this theme. Plus I needed an excuse to use all of my Valentine's Sticker Kits from Two Lil' Bees and The Planner Society. I could honestly keep this theme going for weeks and weeks. I have the ECLP and I love decorating it. That was what I was going to buy and one day randomly I went to Hobby Lobby and discovered MAMBI. They had just released it. I was sold! Thank you! We should follow each other. Send me your instagram! Thank you so much! I actually use more than one planner. The rest are very structured. Just blue ink and lists. And it's probably what saves me from forgetting to do things. Thanks for stopping by! That is super cute! I love all of the fun hearts and graphics! Much appreciated! It's the one month I feel I can go overboard with the cutesy. 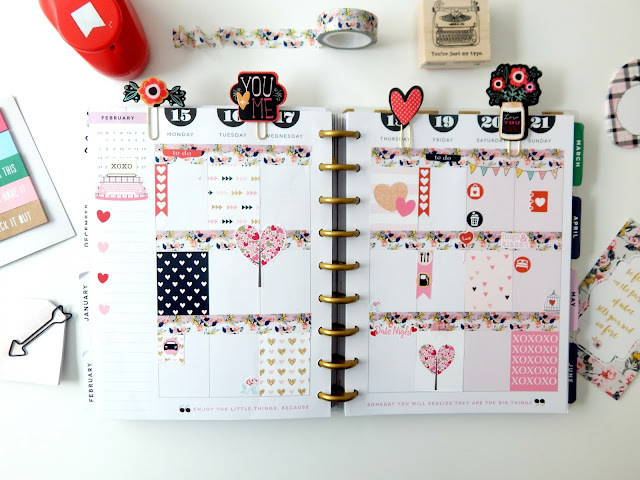 Your planner is so pretty! I love it! I have a planner, I just haven't started decorating it yet. 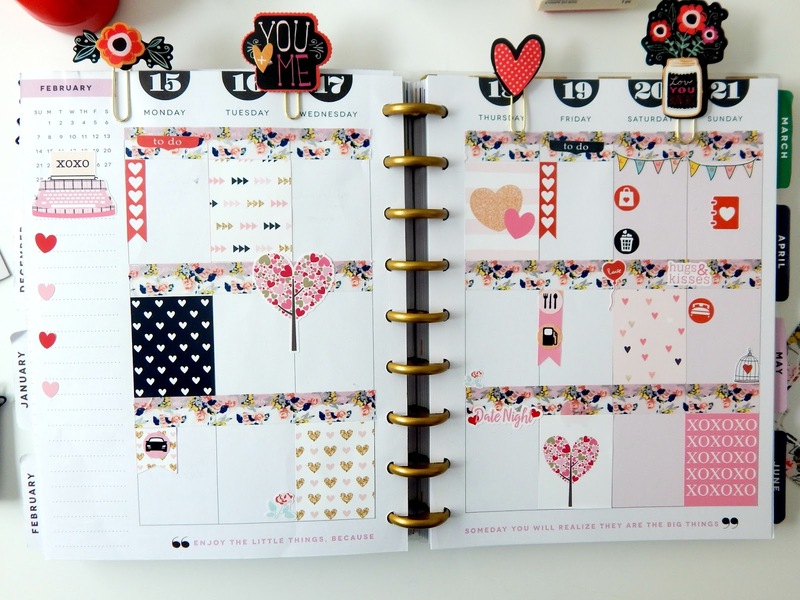 i love all things pink, red, gold, and hearts that this month brings, too! Yay! I might just ring it in with a bang next week! Oh your planner is amazing! Thank you so much! It really has come a long way since I started.